Bealach na Ba pass through Applecross is the most awesome, twisty, hairpin bendy road in the United Kingdom. The single track road’s gradient slopes of nearly 20% enable its quick ascent from sea level to 2,054 feet. The views are spectacular. Anthony and I quickly ascended this Scottish Highland mountain pass on our rented motorcycles, and after a short break in the wee village, began the return descent and two hour ride back to our B&B in Portree. Having found my stride up the mountain, I planned to push my limits on the way down. However, we quickly caught up to a vehicle whose driver seemed deathly afraid of the road. It’s a single track road, meaning only one car will fit on the side of the mountain at a time, so drivers must carefully observe oncoming traffic. One driver must move into an accessible passing place, giving the oncoming driver the right of way to continue on the road, if two drivers meet head on, someone has to back up until a passing place is reached. After the road clears again, the stopped driver proceeds onward. In front of me, the car’s driver constantly slammed on his brakes in spite of clear roads ahead. We inched down the mountain at 10 mph, and I was frustrated. Anthony, sensing my tension (and knowing me well), rode up beside me to soothe my frustration. We pulled over to look at the views and relax. However, within minutes of being back on the bikes, we caught up to the same car and slowed way down again. Suddenly, we hit a straightaway and the car jolted forward. Elated and hopeful, I followed suit. Then, he slammed on the brakes, from 45mph to 0mph in an instant. I had maintained good distance and saw him stop, but while braking caught the gravel on the mountain side of the road. I knew I was going to crash. I kept slowing in the gravel, but then had no where else to go and abruptly hit the mountain. The jarred bike and I careened at a 45 degree angle back onto the road and then slid across the asphalt to a stop. My helmet, which I hated wearing, saved my life. Anthony lifted the bike off me, but I couldn’t move right away. I knew three things: I was alive. Somehow I didn’t go over the edge of the cliff. I was holding up traffic in both directions. I belong to The Church of Jesus Christ of Latter-day Saints (often inadvertently called the Mormon Church). 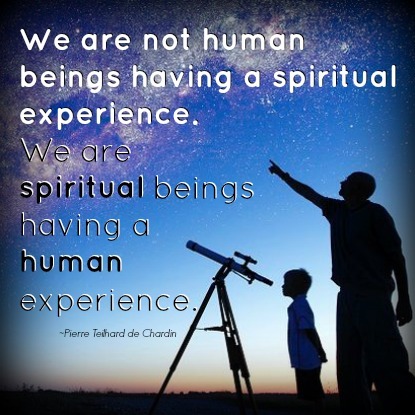 As a Latter-day Saint, I believe that we are all God’s spirit children who lived and grew in His presence before this earth life, and now have the opportunity to have a physical body and gain experience in this mortal world. The whole point of our existence is to become like our Father, who is a glorious resurrected being of flesh and bones. Because of the Savior Jesus Christ’s miraculous atoning sacrifice, after we die, we will be resurrected (our spirits and bodies unite again) with a perfected body. Having that perfected body sounded amazing to me as I lay hurting on Scottish mountain pass asphalt. That incident taught me several lessons about my mortal experience. Don’t Do Stupid Things To My Body. The Lord gave specific commandments for our safety and to enhance our journey through life. He knew what would cause emotional and physical pain to our souls and told us how to avoid it. We protect ourselves by wearing spiritual helmets and gear. “Do not commit adultery, Do not kill, Do not bear false witness, Honour thy father and thy mother” (Luke 18:20). “Thou shalt love the Lord thy God with all thy heart, and with all thy soul, and with all thy mind…Thou shalt love thy neighbour as thyself” (Matthew 22:37, 39). Mastering my emotions is a constant struggle, but with Christ, all things are possible. In the Book of Mormon,a loving father counseled his son, “[S]ee that ye bridle all your passions, that ye may be filled with love” (Alma 38:12). The Apostle Paul exhorted, “Let all bitterness, and wrath, and anger, and clamour, and evil speaking, be put away from you, with all malice: And be ye kind one to another, tenderhearted, forgiving one another, even as God for Christ’s sake hath forgiven you” (Ephesians 4:31-32). Everyone On The Road Is On The Same Journey-Even Scaredy-cat Drivers. If I truly believe that all people are children of God, shouldn’t that change my perspective? Would I rush around adamant that everything has to be done my way and in my time frame? Can I celebrate the divinity in others and rejoice in our unique perspectives and talents? Should I take off my blinders and actually see? Instead of seeing persons in “my way,” I could consider that we crossed paths for a reason. One of my favorite quotes is: “You lift me and I’ll lift Thee, and We’ll both ascend together.” God’s plan promotes unity of purpose—a Zion, or physical state of oneness with God and each other—rather than individual defensiveness. “When I was a child, I spake as a child, I understood as a child, I thought as a child: but when I became a man, I put away childish things. For now we see through a glass, darkly; but then face to face: now I know in part; but then shall I know even as also I am known” (1 Corinthians 13:11-12). I love living in a time where I can see into outer space and then into tiny atoms, with speedy technology at my finger tips. The talents and passions of great minds richly enhance life’s experiences. And yet each person I pass on the sidewalk has divine potential to similarly shape the world in his or her own way. We all need to eat and sleep. We each seek love, security, and purpose. You are me and I am you. Let’s give each other permission to shine. God’s Timing Enables Me To Enjoy The Ride. I’ve thought a lot about how I gypped my Applecross experience by wanting, anticipating, and hoping for something else on my journey down the mountain. I focused on the brake lights ahead, which became my skewed reality, and ultimately left me battered and tattered and pretty unfulfilled. Why didn’t I enjoy the respite Anthony provided, or use our 10mph ride as ample time to breathe in fresh air deeply and enjoy the exquisite vistas from our heavenly perch? Why am I always in such a hurry to accomplish some crazy to do list? Why do I compare my weaknesses with others’ strengths or bemoan barrenness when some moms bemoan my freedom? Is the grass really greener going 60 mph down mountainous curves? Why would I want to live someone else’s life? “Be still and know that I am God” (Doctrine and Covenants 101:16). Only in the stillness of a relationship with Deity does life gain perspective and purpose. We are His children after all. He knows us and wants us to succeed. He provided the perfect path—His Beloved Son, Jesus Christ. When I rejoice with gratitude, I feel God’s promise to “go before your face. I will be on your right hand and on your left, and my Spirit shall be in your hearts, and mine angels round about you, to bear you up” (Doctrine and Covenants 84:88). When I sin, through Christ’s grace, I can repent. When I sorrow, Jesus succors me. When I need direction or increased faith, hope, and charity, He “[leads me] by the hand and [gives me] answer to [my] prayers” (Doctrine and Covenants 112:10). Each of us can find Him. We are His.